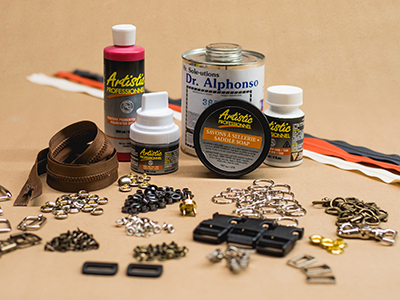 Hardware & Tools Desrochers’ Leathers distributes all imaginable threads, strips, straps, snap buttons, fasteners, buckles and decorations. 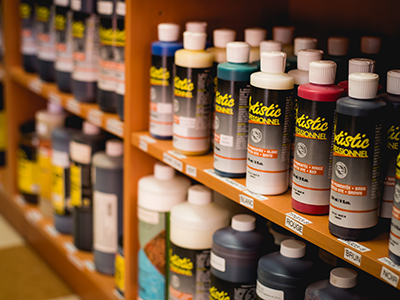 Also get all the maintenance products, dyes, waxes, glues and applicators you’ll probably ever need. Desrochers’ Leathers offers a wide selection of specialized leatherworking hand tools. In addition, you can purchase used machinery for leather, at an affordable price. Order hardware and tools, it's easy! 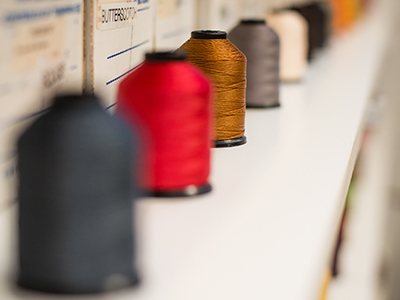 At Desrochers Leathers, the satisfaction of our customers comes first. 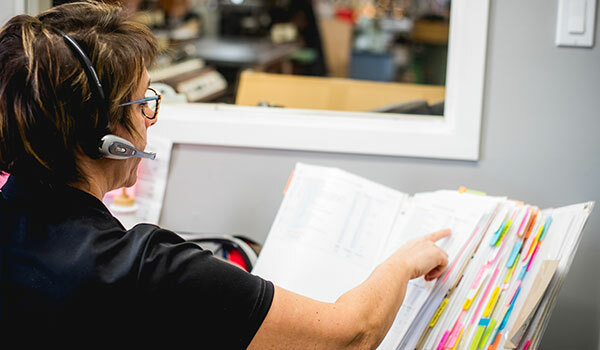 Michelle, the sales manager will answer all your questions and requests with precision. Do not hesitate to contact her by phone at 1 800 362-8622 # 2225 or by email at commande@cuirsdesrochers.com. Due to her and our team, your order will be packed with care and will be sent to you quickly.